This study will evaluate the accuracy of prehospital ultrasound in patients when performed by the rapid emergency response team, consisting of paramedics and prehospital doctors in the Greater Brisbane, Logan and Ipswich areas (50km radius of the CBD), and will also compare the accuracy of paramedic performed scans to those performed by doctors. Ultrasound in Emergency Department (ED) is rapidly becoming an extension of the clinical exam. Focussed Assessment with Sonogram in Trauma (FAST) has been shown to be a rapid and non invasive means of detecting the presence of intraperitoneal and intrapericardial fluid without the need to remove the patient from the ED. In unstable patients it assists in determining the cause of bleeding and prioritising interventions. Like most imaging studies, the accuracy of the FAST is operator and equipment dependent. It is hypothesised that in the pre-hospital setting, numerous environmental factors including ambient light, vehicle movement together with the lower resolution of displays, may all impact on the accuracy of the scans. Additionally, in Australia, the vast majority of pre-hospital care providers are paramedics, a profession that generally speaking are not exposed to ultrasound in day to day practice. This lack of familiarity with the imaging modality may impact on the accuracy of interpretation. 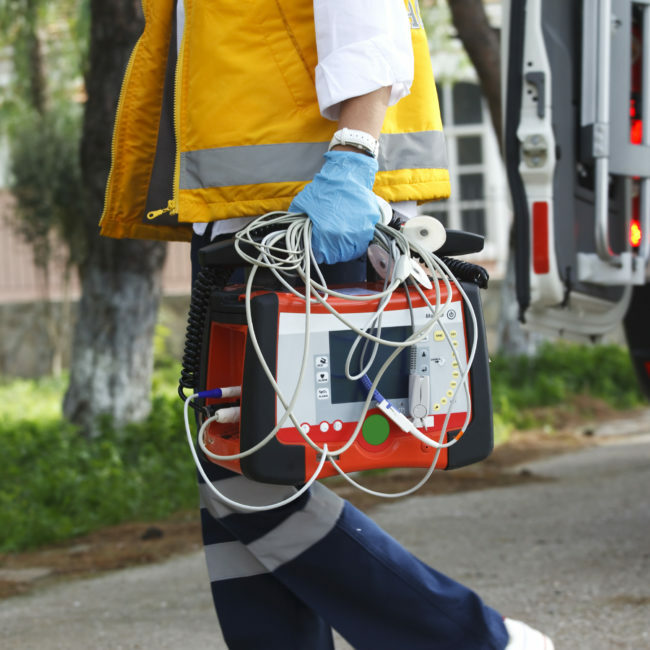 The research team found that FAST in the pre-hospital setting is valuable in identifying patients with haemorrhage in their abdominal or pericardial spaces. As the technology to perform FAST becomes cheaper, and as the skill becomes more mainstream, the role of pre-hospital FAST will become an essential component of the pre-hospital work up of the trauma patient. - Bodnar, D., Rashford, S., Hurn, C., Quinn, J., Parker, L., Isoardi, K., Williams, S., Enraght-Moony, E. and Clarke, B., 2013. Characteristics and outcomes of patients administered blood in the prehospital environment by a road based trauma response team. Emergency Medicine Journal, 31(7):583-588. - Bodnar, D., Rashford, S., Williams, S., Enraght-Moony, E., Parker, L. and Clarke, B., 2012. The feasibility of civilian prehospital trauma teams carrying and administering packed red blood cells. Emergency Medicine Journal,31(2):93-95.